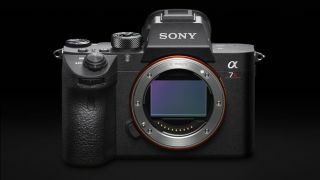 If the full-frame 42.2MP sensor inside the Alpha A7R III doesn't quite deliver the resolution you need, we could soon see a Sony Alpha camera with a 60MP sensor, if rumors are to be believed. According to a source of SonyAlphaRumors.com, Sony will soon announce a full-frame 60MP sensor that's capable of shooting at 4.6fps at 16bit and 12fps at 14bit. What's more, not only will the new sensor allow 4K video capture at 60p, but 8K recording will also be possible at both 30p and 60p. There are also rumors of a second, 36MP sensor, which is said to offer 10fps shooting speeds at a depth of 16bit, and is capable of capturing a staggering 60fps at 10bit. It's also claimed that the new sensor will feature on-chip phase-detect AF (we'd be surprised if the 60MP doesn't support this as well). Both sensors are said to feature weighted pixel binning. This is something that's already found on a lot of Sony sensors, and is designed to improve image quality when shooting video. There's also a new dual-gain ADC mode, which is said to improve dynamic range by almost two stops. Details on how this mode works are scarce, and it comes at the cost of a 50% reduction in sensor speed, but Fujifilm's X-T3 already features this tech in its Sony-manufactured sensor. Finally, there's Digital Overlap HDR (DOL-HDR). You can think of this like bracketing, but it sees a minimum time interval of just 1/6000 sec between capturing two frames at different exposures. Interestingly, it's rumored that these Sony sensors will be made available to other camera manufacturers as well.